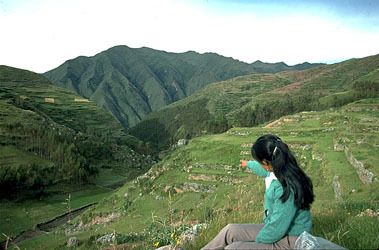 Sitting on the hillside, Nilda points in the direction of the Inca Road in the distance. 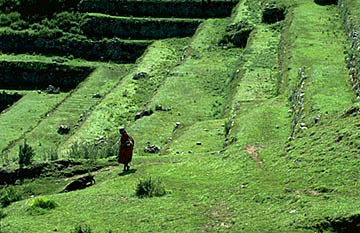 In the forground are Inca ruins. 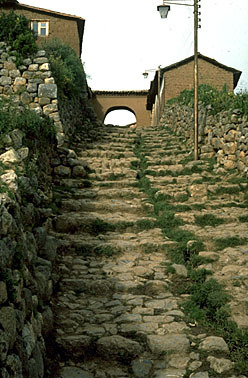 The Incas built a road system that linked all corners of the empire. The massive, intimdating Andeas did not stop them. 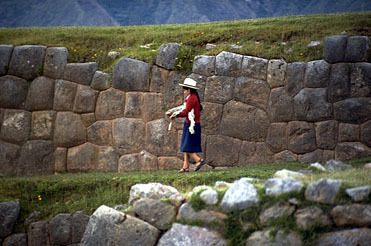 A Spanish conquistador described the Royal Inca Road as greater than the Roman road he remembered from his childhood. The coastal roadway extended from Ecuador in the north to Chile in the south. Stone-lined mountain road sections ran across the high Andes mountains east to west extending to present-day Bolivia and beyond. 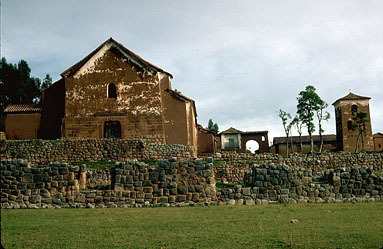 Storehouses once lined this hillside of Chinchero. Today it is interesting to explore the stone foundations. 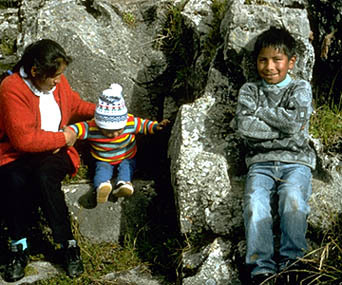 During Inca times, families did not worry as much as they do today about years of poor crop growth. The government storehouses were filled with emergency reserves of food and clothing to supply the royal court, the army passing through, the large support staff of workers and revered farmers who produced food for themselves and the kingdom.